The seawalls are typically built along the shoreline of inhabited areas that have suffered tsunamis.. They tend to restrict access to the shore and block the view of the sea from inland, often casting shadows on houses built along the shore. But because seawalls cannot be constructed along all of a community’s shoreline, they tend to be clustered along stretches that have been directly hit, leaving other areas exposed. The bad thing about tsunamis is that when they come again they usually don’t come at the same place they did before. There was mixed information about Taro and the success of the wall. But now after tsunami generated by Honshu earthquake, it looks very bad and the town was probably as badly hit as the rest of the coast. The wall helped to save townsfolk by giving them a few more minutes to get to safety. It seems at least 75% made it to higher ground and survived. 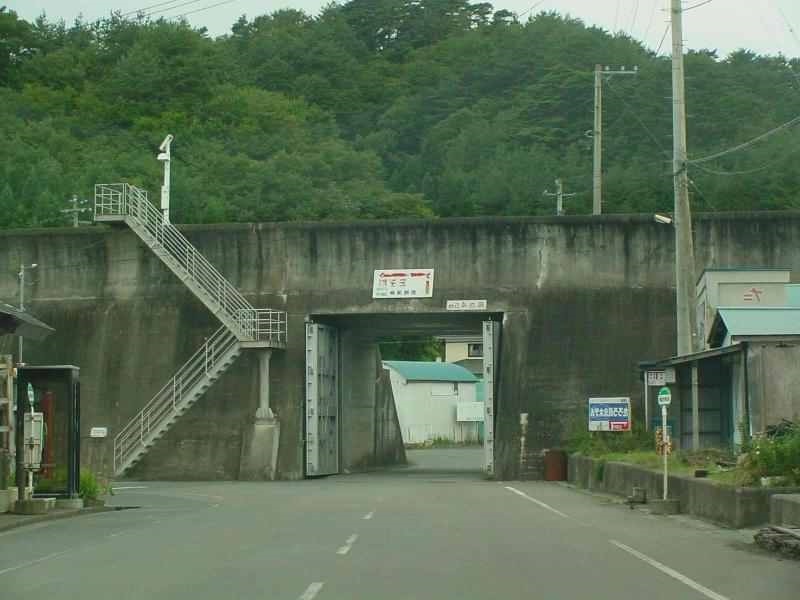 One side of Tsunami wall is the village and on the other side is the harbour and ocean. In case of an earthquake (possibly also underwater volcano), the alarm is sounded for a tsunami warning, the harbour evacuated and the entrance is closed. This structure won't stop all tsunami from destroying this particular village, as there was a tsunami in the 1950s (1954?) I think that was a bit higher than this structure, but in general, it will stop 99% of tsunamis affecting this village. These structures are quite common in Japanese fishing villages. This wall was in Tohoku region, which is the on the main Japanese island of Honshu and is a few hundred km north of Tokyo.